The ultra clean P11-144 Sport + belonging to Darren Bell is a favourite in the club and it's our pleasure to award him with this months award. Well done Darren, how does it feel to win the Car of the Month award? Makes all the work you put into the car worthwhile. 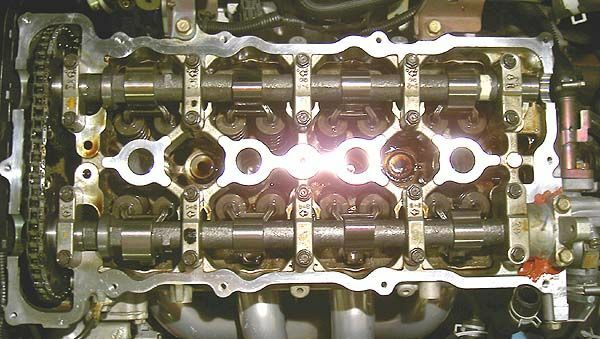 Before we talk shop, can you tell us about yourself and your interests? I'm very nearly 34 (March) and married to Theresa. We've been married for 8 years and have a single daughter, Mia. I've worked for Dolby Laboratories (the sound people) as a Senior Software Engineer/DBA now for 12 years and it's great. No end to learning new technologies. My main interests are Computing and Cars. I'm an Open Source advocate as i hate Microsoft's business practises he he. I try and contribute to Linux when i can. The car is just great and keeps getting better. I'm still yearning for boost though. Oh well it'll have to wait a bit longer for that. Thanks Darren, can you tell us what first got you interested in the Primera and what made you choose the 144 at a time when the P11 was still very much the popular model? What started it was the lure of getting a new car for 35% off!!! Theresa's uncle owns a large Nissan dealership in southern Ireland. I think that did it. I was looking at the P11 GT, but then he gave me the brochure for the P11-144 and i was hooked. So i waited and got my first one in March 2000. I then changed to my current black one in Sept 2001. He then handed me a brochure for the P12.... I gave it back. How did you find your way to npoc and did you have the modding bug before you found the club? I discovered NPOC by accident. Got chatting to Kev and Andy and decided to meet up. We went to Thruxton to see the Primeras racing in the Thunder saloons, but they didn't out of respect for a driver that died in a BMW on the day. I had never modified a car before i found NPOC. Now I've done cams, suspension etc. I have definitely got the bug, just not enough money. 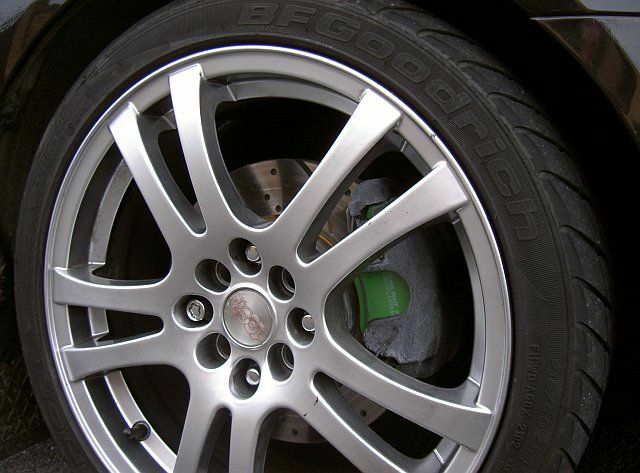 Could you tell us what sort of modifications you have made to your car? First mod was a Pacesetter short shifter. I still remember laying under the car at 11:30 at night chatting to Andy on a mobile. Then came the B&G coilovers. This is a great mod as the car handles like a go cart. Was the induction next. Paul at Cybercraft made this. A very nice piece too. The MAF adapter is a work of art with a mirror finish. It's a pity it's hidden. Next was the header. 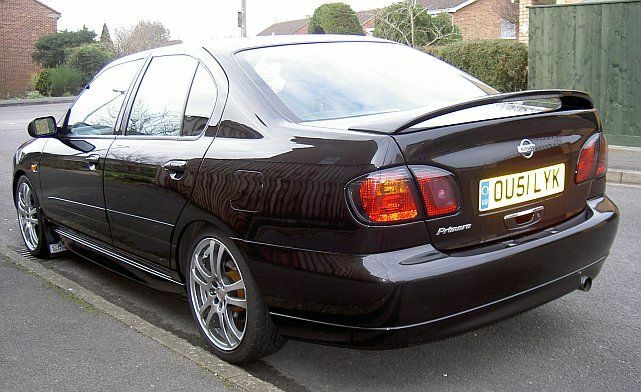 I got this by chance as one of the GB members sold his primera and I picked it up at a great price. This was a good one too. I remember fitting them at 9pm one Tuesday night. I actually went out at 1am just to run them in. I did 100 miles... LOL. Ahhh JWT cams, excellent choice!! How does the car feel with these and would you recommend them to fellow members? 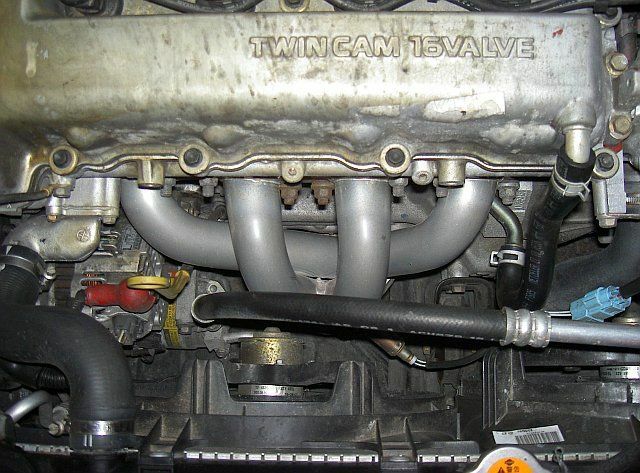 Combined with the exhaust and header, you must have gained a healthy power increase? Yup, the cams are excellent. The car feels much more lively than before, but the real treat comes when your at WOT and 4,250 rpm. What a rush, you can feel the extra kick!!! With just the induction and header the car went from 136bhp to 161bhp, proven at Power Engineering. I'm not sure what it is now with the exhaust and cams. Gotta get it tested !! 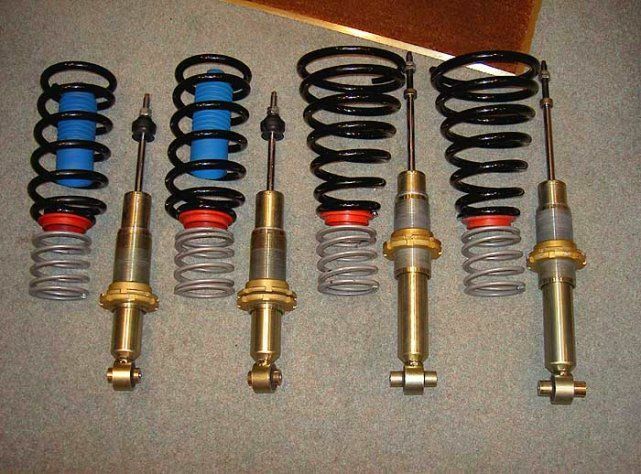 Members who have been in your car often praise the ride and handling, is this down to the coilovers you have fitted and do you think these have gave you the edge over cars with standard suspension or uprated shocks? Thanks guys :) The ride is firm but not bumpy. I think it is definitely down the the coilovers and the fact that the P11-144 is stiffer up front than the P10 and P11. The car just seems to stick to the road. I think that they make all the difference in being able to outcorner the odd Civic Type-R!! Ya shoulda seen his face! Caught me up again on the straights though. What's next for the car, any big plans or secret thoughts you can share with us? I want a Disco Potato. Watch this space people!! Now that you've owned the car and driven it for some time, do you still enjoy it now as much as you did when you bought it and what sort of driver are you? I still really enjoy the car. I find myself making an excuse just to go out for a spin in the evenings. But, it's definitely made me a faster driver. I tend to take corners too fast (for other people) and have shocked some other drivers sometimes (I don't mean to). All in all I love the car and will have it for a long time yet. Thanks a lot Darren for the interview, best wishes for the future and more happy motoring. Now it's time for you to make any shameless plugs and thank the people who have helped you on your way. Basically, a big thumbs up to everyone on the forum who've made owning a car far more interesting and getting me away from a computer screen :). Also to Andy for being there when i need help and to Kev Shek for all the turbo advice. G for always being there for a chat. Kev F for my wheels. Last but not least. My wife, who puts up with me going on about cars all the time.